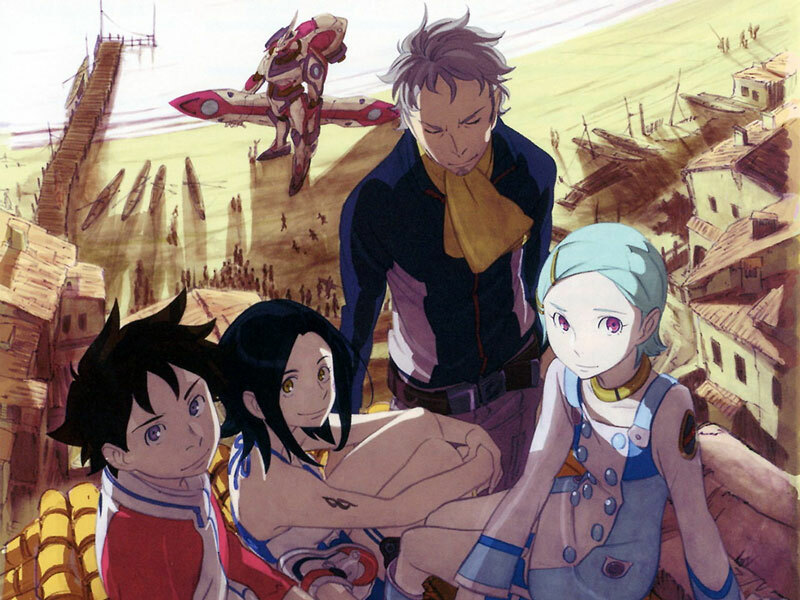 In an effort to try and still keep somewhat informed of what's what in the anime world I one day came across an article on Otaku2 where Sato Dai, storywriter for some of the best series out there, voiced his discontentment with contemporary anime. Can't say I haven't done the same on occasion, reminiscing about days-gone-by when the likes of Evangelion, Ghost in the Shell, and Lain were the big titles for an audience interested in substance. 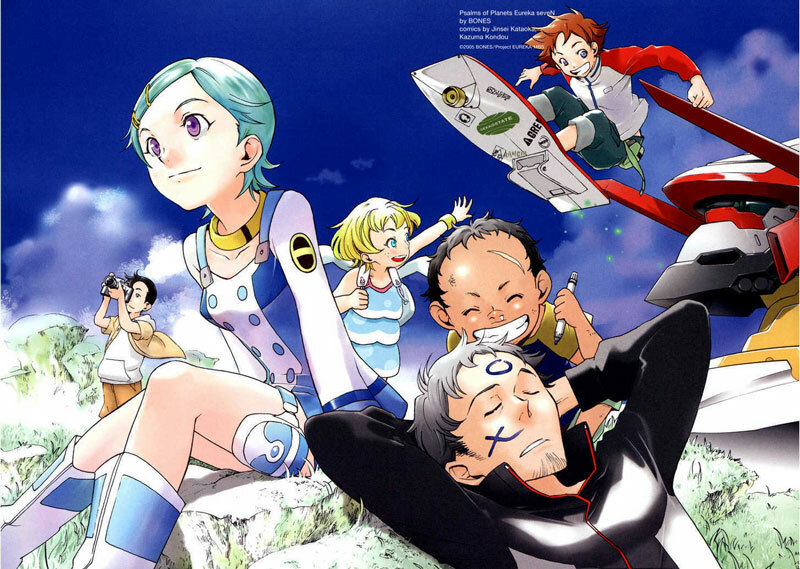 What caught my interest in particular was Sato's mention of Eureka Seven having been dismissed in it's day as an Evangelion clone. Not the best quality video, but probably the best trailer out there. Having posted about NGE here in the past, as it compares to Lain, I couldn't resist digging up Eureka Seven to see what all the fuss was about. A friend's mention of Eureka being his favorite anime nudged me further in that direction. The initial similarities between Evangelion and Eureka are pretty obvious but they are mostly superficial. The two series employ some genre-specific conventions but each has a very different feel to it. 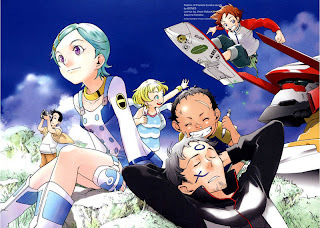 While I can see how Eureka could be dismissed as just another mecha anime in the post-Evangelion days, it is less dark much of the time and ultimately resolves to have a more amicable outcome for its characters. Now, I'm not going to go into the nitty gritty details of what happens in the series because you should just watch it but I definitely enjoyed Eureka thoroughly. It may not have quite the psychological depth of NGE, nor does it have to. The cast tends to be more archetypal and draws on our basic desires and ambitions with a healthy dose of romance thrown in. The thing that I probably enjoyed most of all is that it was such a well executed series. Within its fifty episodes you will find a great deal of character development in a steady progression. It's well paced, provides plenty of tension, and an equal amount of resolution. The animation is solid throughout and the last episode even kicks it up a notch with especially well done cells for key scenes. When it comes to how Eureka wraps up it has Evangelion beat. Not that it would take much to improve on Evangelion's original series ending, mind you. 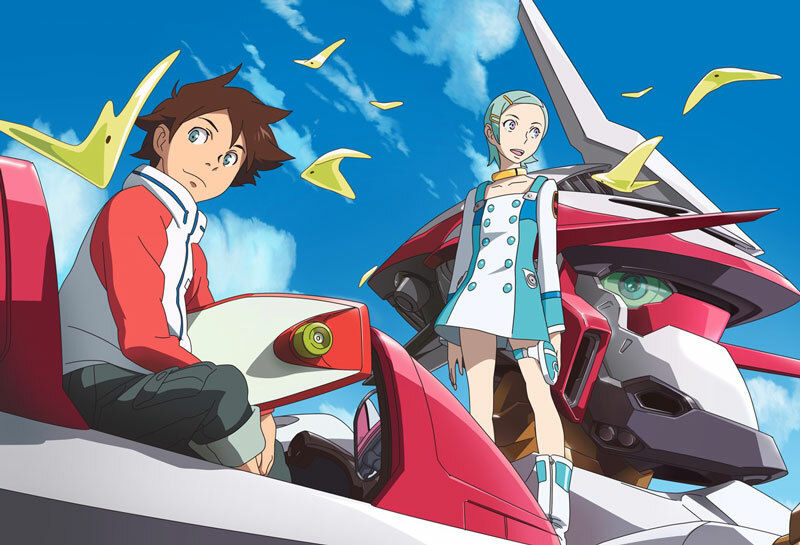 Even so, Eureka delivers a great climax with plenty of heart-warming resolution to leave me feeling good about having invested my time in an anime of this length.